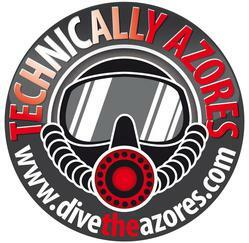 Rebreather diving in the Azores is best during the months of May to October but you can actually dive all year round. Visibility around the islands is outstanding, and the water temperature a pleasant 22 -23 Celsius making the diving even more of a once-in-a-lifetime experience. Pico’s conditions and probability are so good here that we will actually guarantee an encounter with the big Atlantic fish and Silent Pico bubble free weeks means more close encounters. Our lava formations under water, which resulted from volcanic flow in the past creating walls and drop offs and amazing topography which with our Silent Pico Rebreather weeks gives the group great bottom time to explore this amazing labyrinth. Divers will frequently see grouper, mackerel, barracudas, skipjack tuna, trigger fish common stingray, which can grow to enormous sizes in these waters even large mantas are sometimes encountered. For the diver that needs a little metal through the week we have a wreck diving day where we spend the day diving 2 of our wrecks “The Viana and Pier 16”. For those that enjoy macro small sea creatures such as sea spiders, sea urchins, tubeworm, octopus, moray eels and lobsters hide in the small underwater formations and our night dives are particularly spectacular since the luminescent plankton can provide an eerie glow at certain times of the year. Shrimp in huge swarms provide rainbow colours, nudibranchs and anemones provide colours as well. Around the island of Pico, there are over 35 dive spots with caves and grottos as well as walls, flats and seamounts close to the island. The tremendous variety of species within a very short distance is a divers dream. Diving in the Azores is a great way to swim with turtles and diving birds, to find black and soft coral and scores of other beautiful species. Gatwick direct flight - SATA Air Azores operates a direct flight from Gatwick to São Miguel every Saturday from April to October. The flight takes 3½ hours and costs around £340 per person including taxes. Also direct from Stansted with Ryanair from around £65.00 each way this may seem cheap but remember you pay for bagage and as a diver you may have 2. Onward connection to Pico is with SATA Air Azores with is around £70.00 each way. Manchester and Heathrow flights - TAP Air Portugal operate flights from Manchester and Heathrow to Lisbon and then onward flights to the Azores. Each leg takes around 2½ hours and prices range from £320 upwards depending on availability. Budget airlines - if you are looking to fly from another regional airport in the UK, you may want to consider flying with a budget airline to Lisbon and then onwards to the Azores with TAP or SATA. The only thing to bear in mind when doing this is that you are effectively on 2 separate tickets so we always allow at least 3 hours connection in Lisbon in case of delays. There are daily flights from Lisbon with TAP Air Portugal and SATA Air Azores to the islands of São Miguel, Faial and Terceira with connections from many major cities around the world. SATA Air Azores operate flights to the Azores from Amsterdam, Stockholm, Barcelona, Billund, Copenhagen, Dublin, Frankfurt, Las Palmas, Madrid, Munich, Paris, Oslo, Zurich, Faro, Porto, Funchal and Porto Santo.